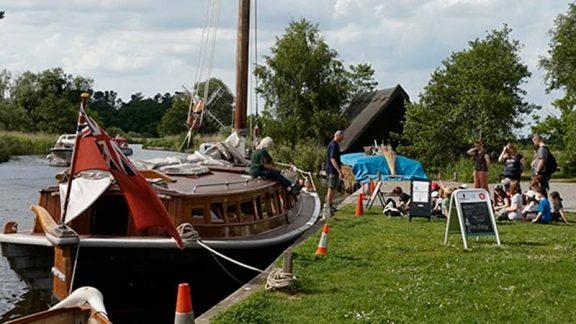 The beautiful Edwardian pleasure wherry will spend the summer moored up at How Hill staithe, where she will be open to the public for much of the time. Hathor (pronounced “heart-or”) was built in 1905 in Reedham. She was designed by Edward Boardman, who also designed and lived in How Hill house. Hathor is now owned and maintained by Wherry Yacht Charter. For more detailed information about her history please visit their website. If you enjoy Hathor then you would love Ardea – the largest and most magnificent wherry ever built! 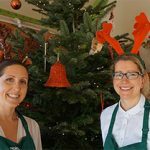 This August the How Hill Trust is running a unique holiday break. Stay at How Hill house and sail on board Ardea from Wroxham to Norwich stopping at How Hill, Womack, Great Yarmouth, Cantley and Brundall. Full details here. It all started when we decided to repaint the office. 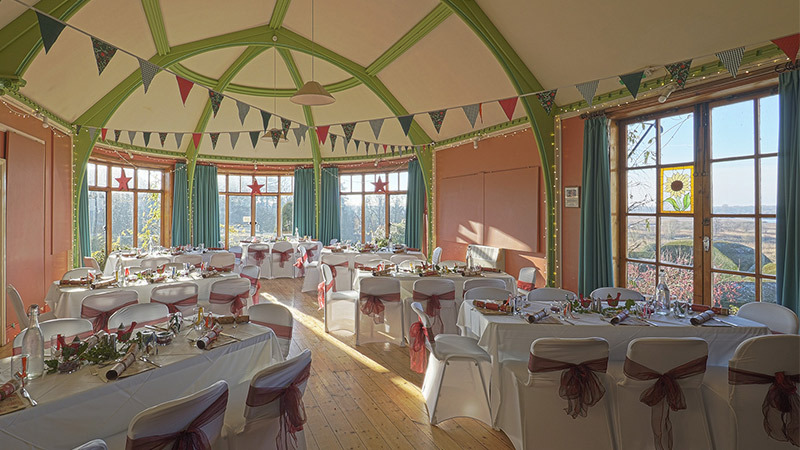 How Hill is a busy organisation and the office is a place for planning, eating, working, filing, storing equipment and collecting craft materials. The walls showed at least three different colours and bore the scars of many past fixtures and fittings. Over two hectic days the office was transformed in a frenzy of ruthless de-cluttering, filing, sanding and painting and it is now a serene haven of organisation and productivity. Well, it is at least all the same colour. Children from Wymeswold Church of England Primary School got snowed in at How Hill as drifts blocked the roads… what an adventure! 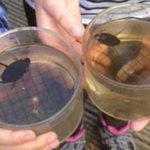 The group arrived on Monday morning and soon began their 2 ½ day programme of activities including dyke dipping, exploring the reserve, boating to Barton Broad, thatching, visiting Toad Hole Cottage Museum, dissecting owl pellets, orienteering and environmental art. On Tuesday the snow started falling and we made sure that the children were well wrapped up with plenty of time to play outside and enjoy the novelty weather conditions. How Hill is beautiful at any time of year, but in the snow it is magical. There are so many fantastic public events happening at How Hill this year. Download a printable version of our events brochure here or visit our events pages to find out more, check availability and view pictures. Beware! 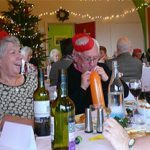 Some events sell out extremely quickly so book early to avoid disappointment. January 19th, 2018 There are so many fantastic public events happening at How Hill this year. Download a printable version of our events brochure here or visit our events pages to find out more, check availability and view pictures. Beware! 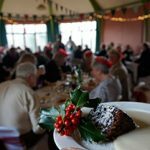 Some events sell out extremely quickly so book early to avoid disappointment. Thanks to a kind donation from Saffron Housing we have been able to buy a super duper new computerised telescope. It’s so new we haven’t had the chance to play with it yet, but we are looking forward to discovering the wonders of the universe alongside children from visiting schools. As we are so far from any large settlements the skies around How Hill are wonderfully dark. 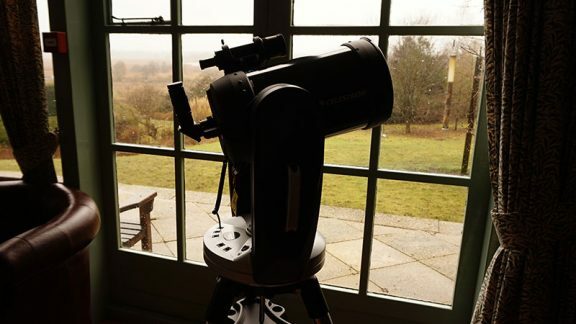 The telescope will be set up in our sunroom and it will display its images on our tv so everybody can enjoy the view. Sometimes people ask us what happens during the winter at How Hill, and whether we still have schools staying. Well, for most of the winter months we do continue with all our usual school activities. The house is very cosy and we make sure that every child is weatherproofed and well wrapped up, with regular top-ups of hot chocolate. However, in December school visits finish for the year and Christmas begins! 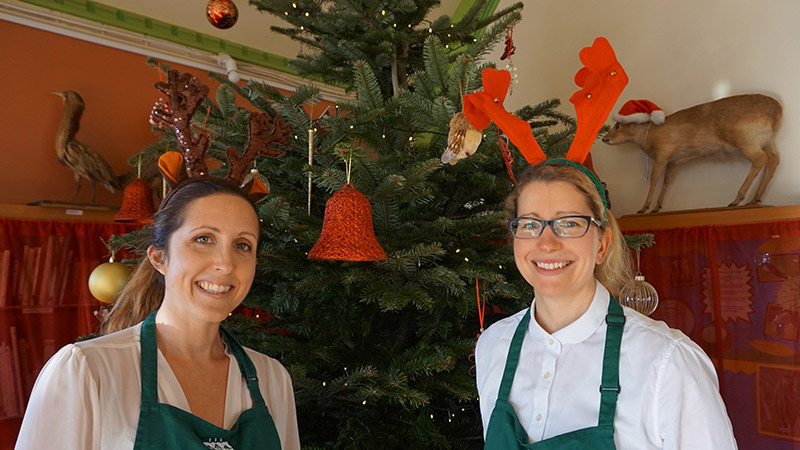 We cover up the displays about food chains, decorate the house with lots of festive loveliness, bring in a Christmas tree and put Father Christmas hats on the taxidermy Chinese water deer. We know how to throw a party! 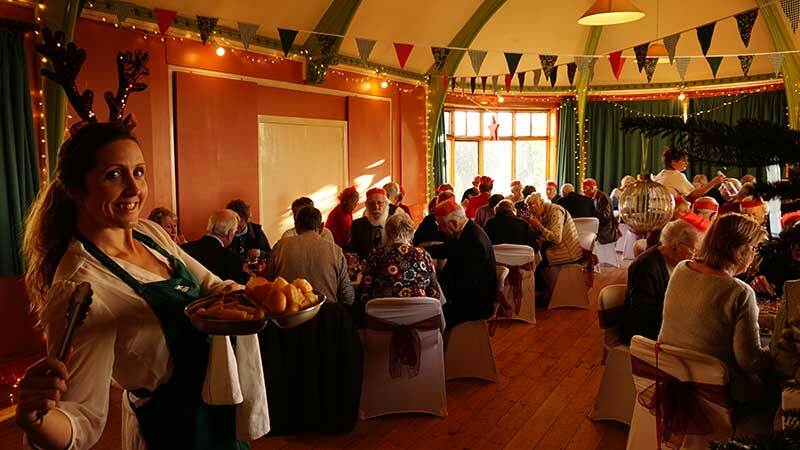 Throughout the festive season we host Christmas lunch gatherings for all sorts of different groups. 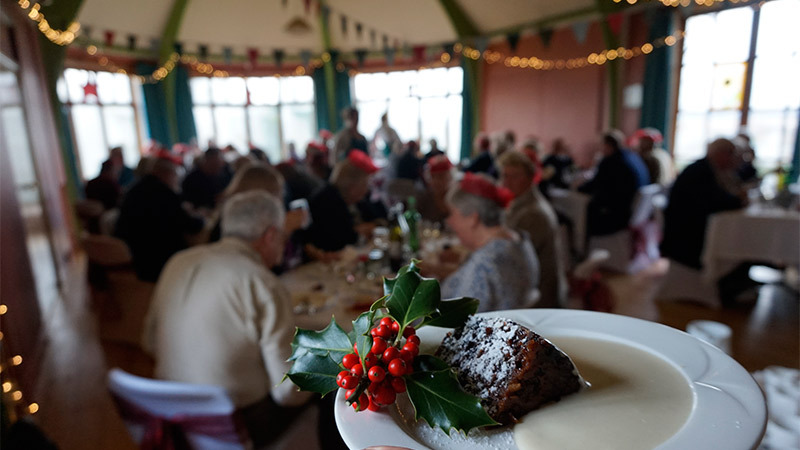 People come and have a feast with their friends or family then walk it off around the How Hill gardens and nature reserve – just like Christmas day but without the washing up. 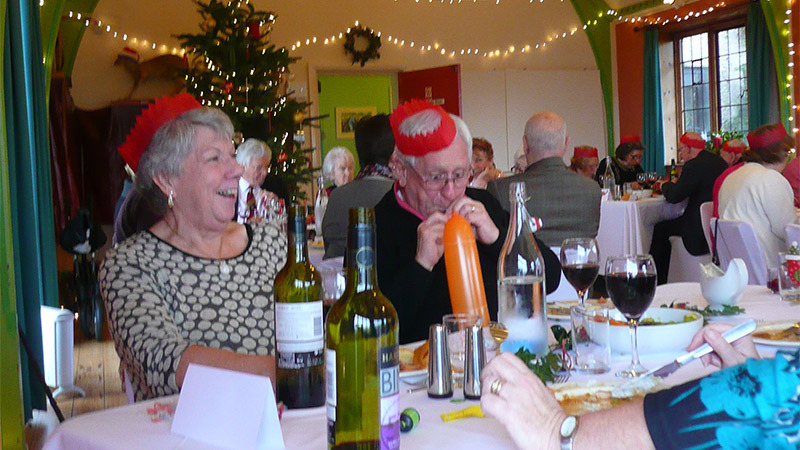 Our Christmas lunches are good fun and really good value. 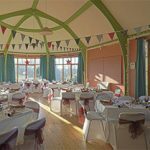 Please contact us if you would like to make a booking for 2018. Merry Christmas! 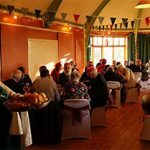 The Friends of How Hill craft fair this year was another big success. It was a lovely sunny day and hundreds of people came and enjoyed browsing the stalls of unique crafts, eating cake and watching the demonstrations. The gardens were open and lots of children had a go at garden orienteering and dyke dipping. 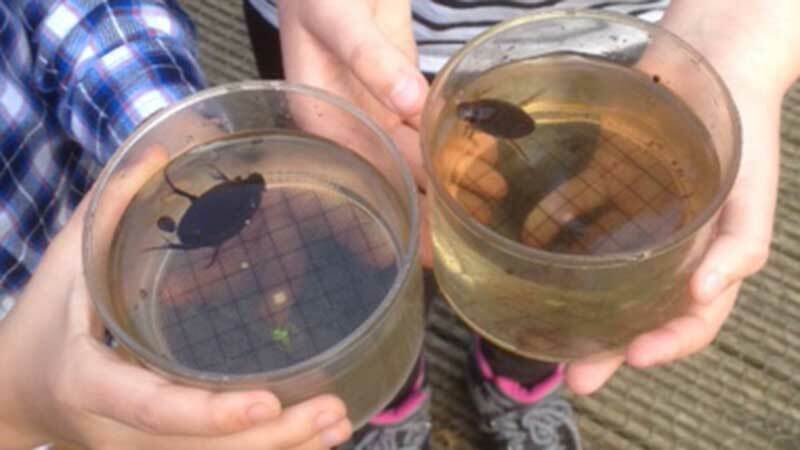 One family were lucky enough to catch a huge silver beetle AND a great diving beetle. Thank you to the Friends of How Hill and everybody who came to support this enjoyable event. Photos below. Thanks to money raised by St Francis of Assisi Catholic Technology College we now have our own super-duper all terrain wheelchair, so now even the more rugged areas of the reserve are accessible to everyone. October 2nd, 2017 Thanks to money raised by St Francis of Assisi Catholic Technology College we now have our own super-duper all terrain wheelchair, so now even the more rugged areas of the reserve are accessible to everyone. Thanks guys! The autumn term is now in full swing and we are pleased to welcome residential school groups back to the house after the summer holidays – it’s been far too quiet without them. 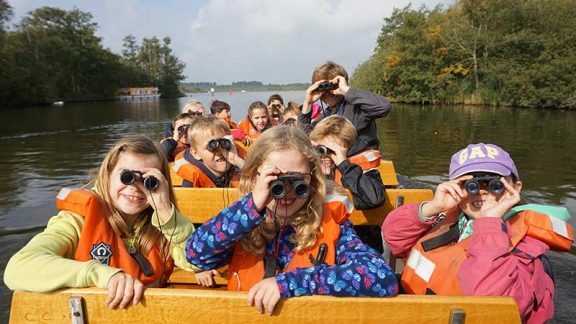 This lovely photo was taken this morning as staff and pupils from Hethersett Junior School enjoyed a boat trip up the River Ant to Barton Broad. Although we are fully booked for residential visits this year we still have room for a few more school day visits. Please get in touch if you are interested. The first swallowtail butterfly of the year was spotted at How Hill yesterday, as usual in the most picturesque of locations – the carpark! 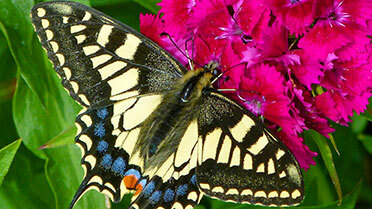 The swallowtail is the UK’s largest native butterfly, and also one of our rarest. These spectacular beauties are only found in the Norfolk Broads, largely due to the distribution of the caterpillars’ only foodplant, milk parsley. How Hill is one of the very best places to spot them, so come and have a look. Why not come when our tearoom is open so you can treat yourself to a slice of cake after your swallowtail safari.